Last week, my wife received an email appeal that demonstrates that fundraising professionals continue to make stupid email and direct mail mistakes. I’m not talking about fundraisers who have failed to use cutting-edge techniques. Instead, I’m talking about folks who have made S-T-U-P-I-D mistakes when it comes to the fundamentals of making a simple appeal. Subject Line: The subject line on the email reads, “Please support the Rosenbach!” Unless the recipient was waiting around anxiously for some way to donate to the Rosenbach, why would she even bother to open the email? The subject line tells the reader what she needs to know about the content: The Rosenbach wants money. And it either wants lots of money or needs money desperately judging from the exclamation point. Rather than opening the email, my wife mentioned it to me because of the ridiculously bad subject line. When I asked her to open the email and read it aloud, she initially refused, saying, “We know what they want. They want money. Why bother opening it?” (By the way, we actually happen to like the Rosenbach; that’s why we’re on their email list.) I replied, “I bet the email is equally bad and that they even mention the end of their fiscal year.” So, with a sense of amusement, she opened the email. 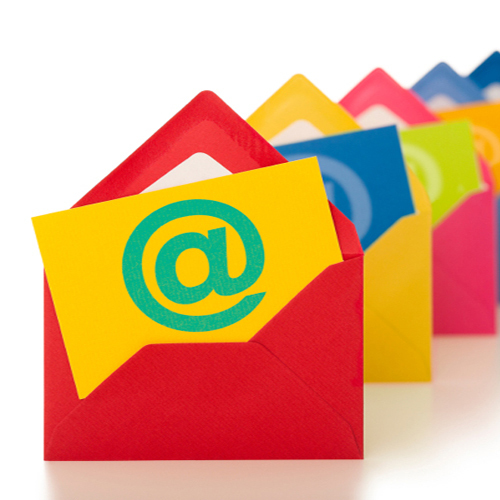 Tip 1: Write a subject line that will entice the reader to open the email. Avoid turn-off subject lines or those that are misleading. For help writing more effective subject lines and headlines, checkout the Headline Analyzer tool. Inappropriate Personalization: Right at the start, the author missteps. The email begins, “Dear Lisa.” Some people, particularly younger readers, might not find this problematic. However, Lisa does not know the email’s signatory, Derick Dreher. It was presumptuous of Dreher to address her by first name rather than as Mrs. Rosen or Ms. Rosen. Interestingly, adopting a less friendly and more formal style by the end of the email, Dreher signed his full name rather than just his first name. Tip 2: When addressing people, especially strangers you want something from them, it’s generally a good idea — and always good manners — to show respect and a bit of deference. At the very least, if you’re going to use a casual salutation, be sure to match that style with a casual sign-off. End of Fiscal Year: No one cares about the end of your fiscal year. Let me be perfectly clear: NO ONE CARES ABOUT THE END OF YOUR FISCAL YEAR! Okay, your Chief Financial Officer cares. However, your prospects and donors do not. Unfortunately, in the very first sentence of the appeal, it mentions that the Rosenbach is nearing the end of its fiscal year. If this was tied to a challenge grant that was about to expire at the end of the fiscal year, that might have been a worthwhile point to make. However, by itself, who cares? 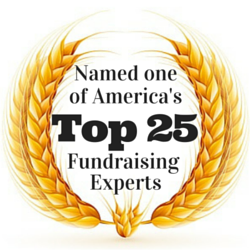 Tip 3: Be donor centered and recognize that donors care about their own fiscal year, not yours. Unless you have a very good reason to talk about the end of your fiscal year, don’t do it. Engagement: As if the first sentence wasn’t bad enough, the author made it even worse by referencing that Bloomsday has come to a close. There are two reasons this is a negative. First, my wife and I have no idea what “Bloomsday” is. So, why should we care about it? Second, if Bloomsday was some sort of fun, worthwhile event, telling us about it after the fact is simply annoying and would make us feel terrible that we didn’t know about it in advance (hint, hint). 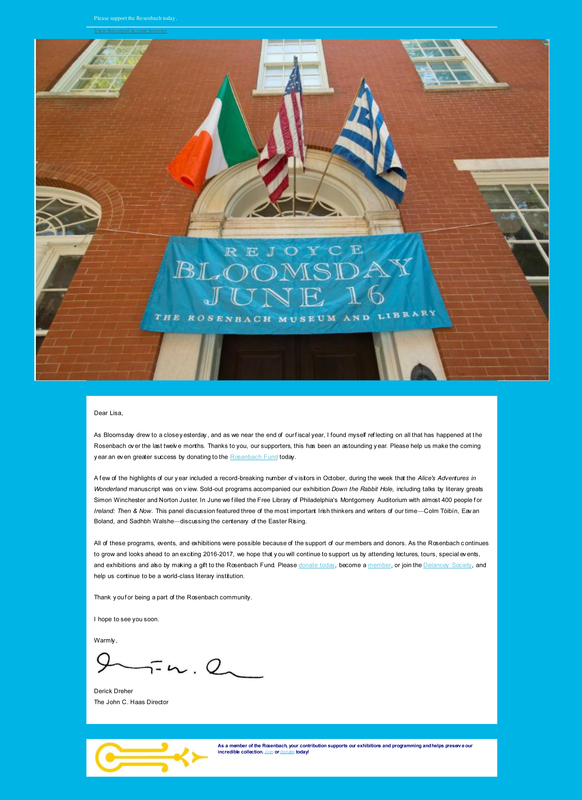 Perhaps, the Rosenbach should have segmented its email list to send slightly different messages to those who did and did not participate in Bloomsday. Writing an effective email or direct mail appeal is not as simple as writing a note to a friend. It’s a real challenge. Sometimes, organizations hit the mark. Sadly, this post is about one of those other times when an organization misses the mark. With just a few weeks to go before the end of the [ABC Organization’s] fiscal year, we are writing to ask for your support of the [Organization] at a time of increasingly good news. As you have undoubtedly read, the [Organization] is no longer in bankruptcy. We officially exited from financial reorganization on July 30, 2012. As we look to the future with confidence, we hope that you share our excitement about the beginning of [John Doe’s] tenure as [artistic director]. With [John’s] first season coinciding with the 100th anniversary of [John Smith’s] arrival in Philadelphia, the stars truly seem aligned! We are grateful for your generous past support of [the Organization]. Several seasons ago, you helped us make possible all the outstanding performances … and the extensive educational and community partnerships that enable us to engage, inspire, and serve Philadelphia. Today, we ask you to rejoin the thousands of Philadelphians and audiences worldwide in demonstrating your love for our magnificent [Organization] by making your gift. Now, more than ever, we need to have you with us! While it was smart of the organization to send an email appeal to lapsed donors, there are several serious problems with the appeal that will negatively impact results. My wife and I are among those who have chosen not to renew our support. By providing a detailed critique of the email appeal, I hope to help you avoid some of the same mistakes. When you do, you’ll get stronger results. Of the five emphasized words, only “Philadelphia” reflects me and my community. The other four words are all organization focused. My wife has spent the past several months engaged in a fight with cancer. As a result, we have refocused our philanthropy. In addition, we haven’t been getting out as much as we once did. However, with my wife’s health returning to normal, we’re looking forward to the start of the new performing arts season. When I saw the “We’ve Missed You!” subject line, I was excited because I saw the email was from an organization my wife and I have an interest in. I assumed the email would tell me about the upcoming season. And, as it’s been awhile since we’ve been able to attend performances, I thought the email just might also contain news of a special performance or ticket discount offer to entice us back. Then, I opened the email. Imagine my disappointment when I discovered that the organization really did not miss my wife and me, it only missed our money. The email contained absolutely no information about the upcoming season and did not even include a link to the 2012-13 performance schedule. I’ll give the organization credit for crafting a powerful subject line. Unfortunately, the subject line merely sets the reader up for a letdown. The organization missed a great opportunity to leverage reciprocity and inspire gratitude. If the email had invited us to make plans to attend an upcoming performance, if the organization had supplied a link to its 2012-13 performance schedule and, especially if the organization had included some sort of promotional offer, it would have inspired a sense of appreciation. By giving us something small, even just information, we would have been more likely to reciprocate with a donation. Instead of beginning the email with something of interest to me (i.e. : upcoming performance information), the organization chose to write about the upcoming close of its fiscal year. Guess what? Very few prospective donors care about an organization’s fiscal year. We care about our own fiscal year. The line used by the organization is quintessentially organization-focused and not the least bit donor-centered. Rather than focusing on the end of its own timeline for giving, the organization would have been wiser to focus on the impending start of the new performance season. That would have been more donor-centered as it would have involved future engagement of the reader. As a result, the message would have been more inspirational and giving would have been more likely. The next sentence in the email is just a bit strange and, perhaps, pointless. The sentence begins, “As you have undoubtedly read…” If I’ve “undoubtedly read” about the organization’s emergence from bankruptcy, why is the author telling me about it? If I had not read about it already, the phrase would make me feel foolish for not having read about it. If I had read about it but forgot, the phrase would make me feel silly for not having paid more attention. Phrases like “As you have undoubtedly read” or “Of course” or “As you know” serve no possible useful purpose. Instead, they can actually be offensive to readers. When using such a phrase, you’re either about to waste the reader’s time or make them feel ill informed. The email expresses confidence in the future now that the organization has emerged from bankruptcy. However, the email does not explain why the organization is confident. Many of the organization’s board members who led the way into bankruptcy continue to serve. While it’s certainly good news that the organization has emerged from bankruptcy, it’s unclear what changes have been made to ensure the organization’s strong management and long-term viability. It’s not enough for the organization to say things are better. It needs to prove it. I’ve given them money before, but they still ended up in bankruptcy. How do I know it won’t happen again? The email shares more good news by reminding readers that a new staff leader on the artistic side will be taking the helm in the new season. The email tells me this news is exciting and suggests, therefore, that I should be excited. However, I’m not told why I should be excited. What follows is insider-speak about the new guy coming on board 100 years after a famous other guy came to town. Some supporters might not really know the historical figure or why he’s so important. I have no idea what “the stars truly seem aligned” means. It’s a mildly interesting historical coincidence. But, beyond that, so what? Will the new guy be doing some sort of tribute to the old guy? I don’t know, but I’d certainly like to know if that’s the case. If it’s not the case, why mention it at all? The organization did do something correct in its email. It thanked my wife and me for our “generous past support.” That’s good. You want to thank past supporters before again asking them to give. Unfortunately, this email takes things a bit too far. While my wife and I have been supportive, we certainly have not been generous enough to have “helped [the organization] make possible all the outstanding performances … and the extensive educational and community partnerships that enable us to engage, inspire, and serve Philadelphia.” I’ve heard of stretching a dollar, but this is just silly. By telling me I’ve made all things possible when I know I haven’t, the author really isn’t telling me anything at all. Organizations should tell donors how their money was really spent. 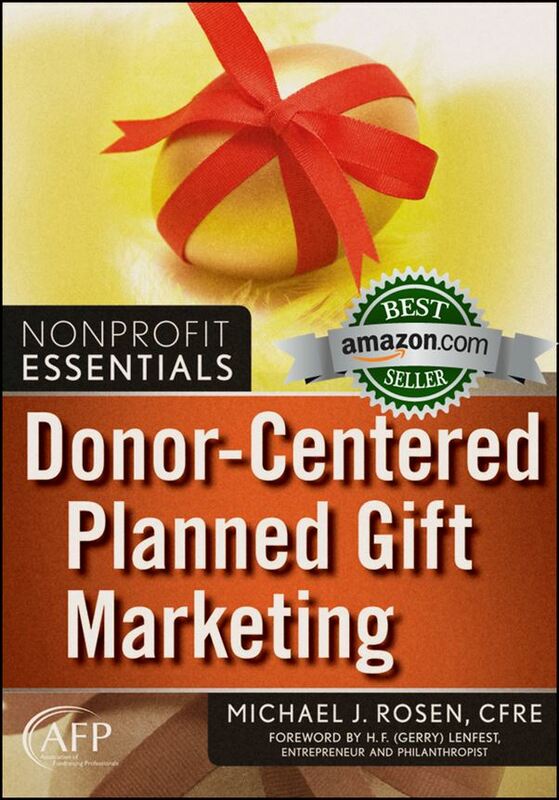 Or, organizations should tell donors what their money, when combined with gifts from other supporters, made possible.